If you own a gym, then you must take care of the health and fitness of the members so that they can showcase their strength and talent in the best possible manner. But the question is what have you done to take care of the wellness of your gym? If something happens to your gym, parts of it get damaged, anything breaks down, or if the members face any injury while practicing or using your gym studio? Have you thought that it will incur a huge loss for you? That is why it is always wise to invest in gym insurance. We, at KulinSohn, can be the right choice for your gym insurance needs. We bring along an unbeatable standard of personal training and understanding regarding sports-related facilities and the sorts of unique risks that it can be exposed to. 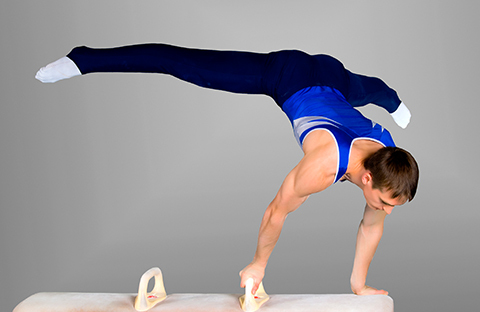 We ensure an equal level of balance control, strength, and precision to the all the members of your gymnasts’ club. Right from artistic gymnastics, mobile gymnastic programs, competitive gymnastics, to the Mommy and Me Programs, we offer a complete coverage for various top-rated insurance carriers. So, you can resort to us without any hesitation. Here, we have put together a few types of coverage that we provide you with our gym insurance at KulinSohn Agency. Take a look. This type of coverage is essential to protect you against the general injuries and accidents that members of your gym can be exposed to while exercising or practicing gymnastics in your studio, with your tools. Next, you need to cover the risks associated with the tools and equipment in your gym. Some of these products can face break downs or other issues out of an accident including natural disasters which can be well compensated if you have this form of insurance. So, if you are interested in getting these or more coverage from us, then quickly, call us at 800-640-6601 or 847-991-4280.